Ali Hutchison has recently become an Anglesey seaside landlady (alas no curlers, housecoat or mules) for holiday flats with sunset, beach and Prince William's air sea rescue helicopter views! Married to Alastair for 27 years with just the last little chick of four still in their Cheshire/SW Manchester nest. In the rest of her spare time she's a media trainer (Church of England mainly) freelance writer (Good Schools Guide) and celebration cake maker. 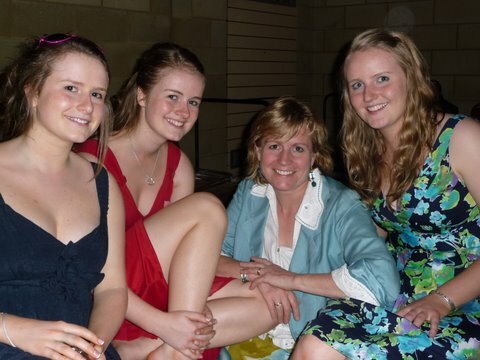 "Pic is of me and my girlies - the eldest is of the male variety." 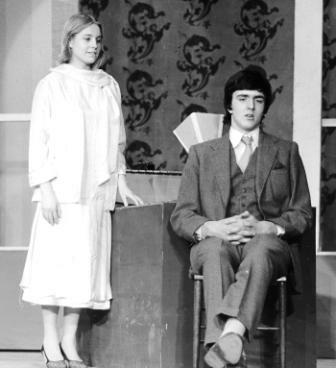 Whilst here is Alison and Jamie Mates in the College production of My Fair Lady.